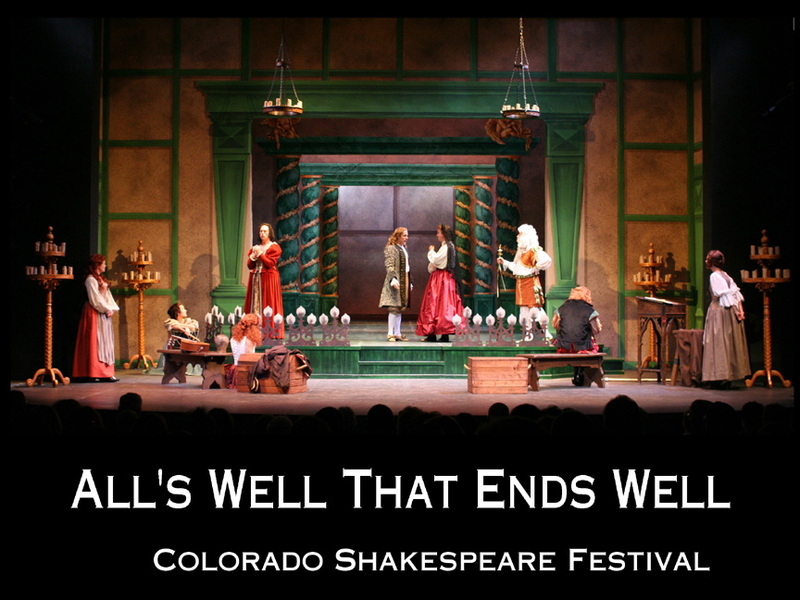 Produced by the Colorado Shakespeare Festival. lighting design by Elisha Griego, costume design by Clare Henkel. with trompe l'oeil portals and scenery, and candle-lit footlights and chandeliers.